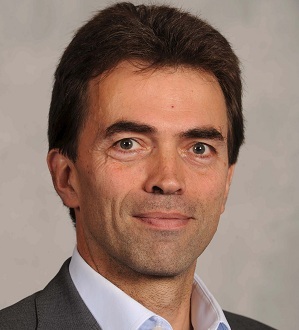 That’s the value that Tom Brake has had put on his reputation. Brake is the last London LibDem MP standing. The MP for Carshalton and Wallington, in Sutton, served as Deputy Leader of the House in the ConDem coalition. No longer in government, lately Brake has been bandying around threats on Twitter against some constituents who have dared question his involvement with a property deal with Sutton Council. 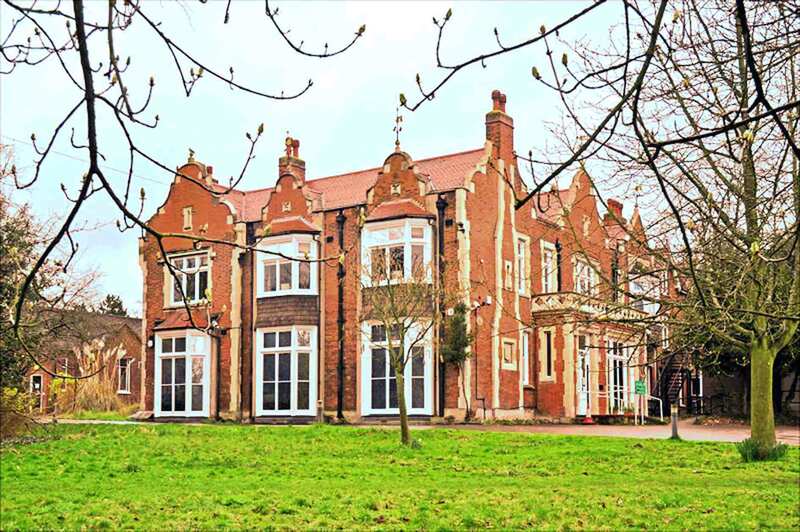 Sutton’s Liberal Democrat-controlled council has handed a 125-year lease on The Lodge, a landmark building by Carshalton ponds, to EcoLocal for around £1 million less than the property’s full commercial value. Brake just happens to be a trustee of EcoLocal, and two of the Sutton councillors who took the decision on The Lodge also happen to be members of the MP’s own staff. But they forgot to mention this among the disclosures of interest before the council meeting when the decision was taken. Now Inside Croydon hears that Brake has set his lawyers on the Guido Fawkes website and on the Sutton Conservative opposition group, for “smearing” him. Brake’s lawyers have written to demand an apology, and Sutton Tories have been told to pay £500 to cover his legal costs. Yep… all of 500 notes. Is that all that Brake’s lawyers think the MP’s reputation is worth? Inside Croydon understands that Sutton’s Tories have been spending the weekend pondering their legal options, with some of them seriously considering calling Brake’s bluff and seeing whether he dares drag them into the libel courts, where the full details of how a LibDem local authority came to hand over a landmark property at £1 million less than its market value could be discussed and the MP subjected to an embarrassing cross-examination from a suitably inquisitive QC. It could be the sort of show trial which could make, or Brake, a political career. Brake’s complaint about the Guido Fawkes articles is that they have referred to EcoLocal as his “company”, when he maintains that it is a charity, a not-for-profit in which he says he has no pecuniary interest. “I am disappointed, but not surprised at Conservative efforts to smear me,” Brake told the Sutton Guardian. “They must be desperate if they have to pretend that a charity and not-for-profit company I am a trustee of, and have no pecuniary interest in, is ‘my company’. EcoLocal’s long-term lease for The Lodge has been agreed by Sutton Council at just £600,000. Sutton has had the landmark building valued as worth up to £1.7 million on the rapidly rising London property market. EcoLocal wants to convert part of the building into nine flats. The prestigious address, surrounded by parkland in a conservation area and overlooking the picturesque Carshalton ponds, could see EcoLocal net a cool £4 million, at least, from the sale of the flats. That’s money which Sutton’s Tories believe the council could be generating itself, if it undertook the redevelopment work, with the proceeds going towards the hard-pressed local authority budget. Among the Sutton councillors who took the decision on the Lodge deal were Callum Morton and Manuel Abellan, whose day jobs are to run Brake’s office and handle his correspondence and publicity. They say that they never bothered to declare any interest in the sale of The Lodge to EcoLocal because there was no interest to declare. Brake’s row over The Lodge comes not long after a church in his constituency received a £275,000 donation. The £275,000 “gift” to Holy Trinity, Wallington, came from Viridor Environmental Credits, the charity arm of incinerator operators Viridor. This all happened around the time that Sutton’s LibDem-run council was handing planning permission to Viridor for an industrial-scale waste incinerator at Beddington Lane, on the borough boundary with Croydon. Brake and his LibDem supporters have frequently held party meetings in the Wallington church hall. Not yet built, the Viridor incinerator is already creating a stink in south London, so much so that the Green Party peer, Jenny Jones, has started asking questions in the House of Lords about the generous gifts from Viridor to Holy Trinity and other schemes in other (now former) Liberal Democrat constituencies in south-west London. Nick Mattey, the Sutton councillor who has been expelled from the Liberal Democrats after asking too many awkward questions about the Viridor incinerator and Brake’s favourite local church, has now confronted the MP over the EcoLocal deal. Mattey has questioned the silence from EcoLocal, an environmental charity, over the £1 billion incinerator being built on their doorstep. “You are a supporter of the Viridor incinerator,” Mattey has written in an email to Brake. “Burning 300,000 tons of rubbish a year in Beddington will pollute the air… A director of an ecological charity cannot champion an incinerator where residents were promised a country park. “Why has EcoLocal said not one single word about the LibDem-Viridor incinerator? Are bricks and mortar more important than flora and fauna? And now Brake is being accused of trying to gag the opposition to The Lodge scheme. Neil Garrett, is a Conservative councillor who is the opposition’s finance spokesman on Sutton Council. He told Inside Croydon: “Brake has not disputed the facts we’ve set out, nor answered any of the serious questions put to him. This entry was posted in Environment, Nick Mattey, Outside Croydon, Property, Sutton Council, Tom Brake MP, Waste incinerator, Wildlife and tagged Beddington Lane incinerator, Conservative, Liberal Democrats, Nick Mattey, Sutton Council, Tom Brake MP, Tory, Viridor. Bookmark the permalink. Bit rich of the tories being against privatising public assets. Awkward. I do not support the Lib Dems or Tories, but find the whole scenario when looked at overall just a little bit iffy. As a local tax payer, I feel uncomfortable when any public servant whether an MP or a local council official fails to disclose any connection with a planning application or scheme. Just recently there have been too many apparent instances where interests appear not to have been declared. That raise yet further questions. Hardly. EcoLocal is privatising the assets as a private developer. Now THAT’s awkward. I have no problem with saving old buildings by conversion to flats if the owners and building managers can afford to maintain the historic structure in good condition, but……… why can’t Sutton Council just do this in an open, market bidding manner, to maximise the income for the Borough.? Local Councils seem to be heavy with Councillors who work for MP’s. There ought to be some control on this. It includes a pivotal role in the Carshalton Environmental Fair, the Frost Fair, farmers’ markets and much much more. Their staff work long hours for very low financial reward and show a commitment to their community greater than any other people I can readily think of. Sometimes it is a good idea to offer assets at below market value to the right people because of the benefits in kind. The Tory ‘alternative’ (which Inside Croydon’ seems to have swallowed en bloc) would leave the charity, the other voluntary groups who currently use The Lodge (such as Tools for Self Reliance) and ultimately the community itself, at risk from being kicked out at short notice at any time. And I for one would not trust a LibDem let alone a Tory Council not to succumb to that temptation in the future. The truth is that Ecolocal came up with detailed plans on their own initiative when the LibDem council was looking to dispose of the building. They have worked for years to convince officers and memebrs of the value of the proposals and spent hundreds of hours of time. Maybe Sutton could have opened the process up to other community groups but I cannot think of any other outfit locally who are better placed to deliver community benefit to the people of Carshalton. Maybe ‘Inside Croydon’ should be more circumspect about jumping to easy conclusions Outside Croydon? You’re talking nonsense. You have no grasp of the facts. You say ‘keeping the Lodge and its extensive gardens in public use’. The Lodge is not in public use, so there’s nothing to ‘keep’. It is currently in use as Council offices. This is you swallowing the line pedalled by EcoLocal, which is a lie. Most of it won’t be in public use anyway as it will be developed PRIVATELY by EcoLocal into nine flats, and seven sold – just the kind of selling off you claim to dislike. How do you square that circle? EcoLocal as rapid Tory land grabbers and developers? The gardens are not part of the deal at all, and never have been, and will remain as part of the Ecology Centre. Please check the plans. It’s all there. You say ‘Ecolocal as a charity have an enviable track record of initiating and providing projects delivering public benfits [sic] which Sutton’s officers reckon come to some £3m a year.’ No, Sutton officers did not reckon this at all. EcoLocal made up the figures and Sutton merely accepted them. No independent verification has been done. At all. These figures are as about as reliable as EcoLocal’s ‘consultation’ which was ridiculously biased in its favour, and began with a page saying ‘we need your support!’. The survey was then sent to EcoLocal’s supporters. QED – 97% in favour. What a surprise. You also seem to confirm that neither you nor EcoLocal have any respect for transparency and have happily ‘kippered’ Sutton Council, whom you clearly distrust. That’s a shame, because nobody here has been knocking what EcoLocal does. It’s not EcoLocal’s fault the council is stupid, and their plans were creative. But you have now shown there was a purely financial motive for the deal. EcoLocal’s finances have been in decline for years, which is a shame, but this scheme should not be used to prop up a failing charity. In the alternative plan, why should there not be an option to kick out EcoLocal if they fail, for example? You seem to think these kind of charities have some divine right to preferential treatment and accommodation at taxpayers’ expense. Sorry – if the charity is not financially viable, that’s the fault of the directors and trustees. Councils can and should help, but it must be done fairly and transparently. The simple fact is that the whole process was railroaded and not transparent. You seem to think that’s a good thing. For someone of your clear intelligence, that’s bewildering. I am sure that nobody would object to the Eco Local organisation logical occupying a small suite of offices and store rooms to allow them to do their Ecological work, but how can they be given a whole building at a knock down price, and then be allowed to sell off a large area of the building as luxury flats, and take the profits?. If the building is not needed by the council, it should be sold on the open market, for the highest price. This sounds like very serious matter, and should be the subject of a public meeting, and Inquiry , and maybe investigated by the District Auditor. That’s the problem, Lewis. The Tories closed down the Audit Commission earlier this year. Now we have a system where such investigations are conducted by auditors appointed by… the local authority.